completely faceless. For this, the Income Tax department will soon launch a new mechanism to verify taxpayers’ returns. On Wednesday, the finance ministry issued a notification in this regard. 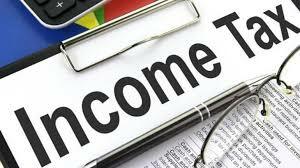 The Income Tax department has set up a Central Vigilance Commission (CVC) to carry out e-verification of the ‘red-flagged’ cases of income tax returns. Under the new facility, tax returns of individuals, as well as companies, will be verified.